She was a little weak in the knees sitting at her usual desk while he did it. He hadn't even been sure if she had her period before this point he hummed "how long have you had it?" "huh?" she asked looking up at him. "Oh i dunno.. a few years i guess" she mustve had it really early then. He hummed nodding "have you had cramps before now?" She shook her head no drinking the medicine he gave her she coughed after it was gross. He cleared his throat a bit her doing that had gotten her period going so it really got her quite horny it seemed. She was kind of staring off. 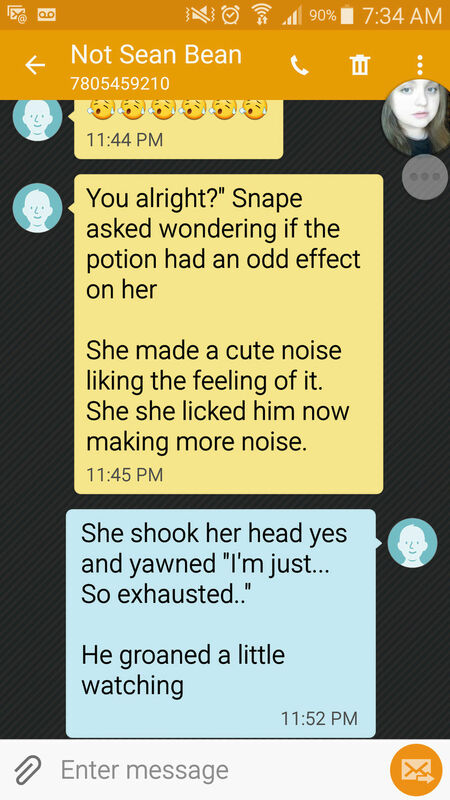 She nodded. There had been a considerable amount of blood. He nodded "it is sore but whqt you did helped a lot...im afraid i will have a limp for a bit though"
She didnt seem eager to go anywhere, she didnt have friends really and with her tummy hurting, it wasnt too surprising. She kicked around for a while, eventually her tumym felt better and she came to look at what he was doing "what are you doing?"